You’ve read about it in books and you’ve seen it on TV and in the movies. Well, here we are. 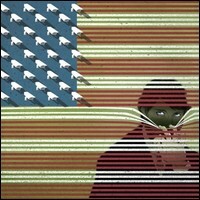 Welcome to the surveillance state. Today it is the collection of phone records, emails, Facebook posts, text messages, chat room sessions, Google searches, credit card transactions and online documents that we know about. Tomorrow, who knows? If you can imagine it, odds are that it can probably be collected eventually. In fact, at this point you have to assume that anything that is transmitted digitally is either currently being seized, copied and stored for future reference or will be just as soon as someone on the government payroll can figure out how. It will be a historical database of your entire digital life. It is safe to say that this is well beyond the scope of anything our Founding Fathers had in mind when they wrote the Fourth Amendment. But now our right to “be secure in (our) persons, houses, papers, and effects” is almost non-existent just because most of our “papers” are now digital. It is the foundation for a total surveillance society. Why employ an army of snitches and spies to keep tabs on your population when you can outsource the job to the population itself? Just fix it so that everything you potentially want to know goes through one “pipe” and make copies of everything that goes through. Easy peasy. The logic of those who support this hangs on the contention that the government isn’t actively “looking” at what they are collecting…yet. They will only peak if they need to. Please raise your hand if you think that Thomas Jefferson would have been fine with regularly copying every document he owned, every receipt for every purchase, every letter he ever sent or received or a transcript of every conversation he ever had and putting it into a really big box that the government could look into any time it saw fit. It’s almost comical to think back on how worked up so many politicians got about preventing those awful telemarketers from calling during dinner, and making sure that we had a “Do not call” list we could use to opt-out of further calls; and how they worked so hard to pass laws against email spam. The next time you see statist politicians pounding the table about a consumer’s need for privacy vs. corporations, feel free to politely burst out in uncontrolled laughter, because the surveillance state doesn’t have an “opt-out” list. It should not be overlooked that the driver of this massive increase in surveillance is that Obama’s pullback from an “offensive” strategy in the war on terror requires developing a “defensive” one…which means a lot more “Big Brother”. Why is it that a President and many leading politicians who are so squeamish about water-boarding a few terrorists have no problem with violating the Fourth Amendment rights of over three-hundred million American citizens? It’s the same approach that liberals take with gun control. Instead of focusing on the criminals, they just decide they’ll intrude on everyone’s rights en masse and hopefully that will take care of the problem. Part of the reason politicians are so anxious to look worked up about the IRS scandal is that it undermines the trust needed to continue to expand big government. A recent Fox News poll measuring “trust and confidence” in the federal government found sixty-three percent of Americans having either “not much” or “none at all” – which explains why the same poll found sixty-two percent opposed to the government secretly collecting their personal information. And how long will it be before we find out about IRS style political abuse of this information? How long before your entire digital life is poured through for political reason or because you have certain beliefs? How long before it just “makes sense” to some bureaucrats that this database is made available to other government agencies, or is accessed by every prosecutor for every trial in America? Like sunrise, it’s inevitable. From ancient times to today, government has proved that it can’t be trusted because its main interest is always itself and its own growth. Always. When is the last time any government ever voluntarily reduced the scope of its own power? On the contrary, it always excuses itself and rationalizes the power it has – or the need for more – for our own good. When it comes to any future hope of privacy, we are at a crossroads. If we allow this, how much of a fight will we put up against the next incremental step? And you can bet your life there will be more steps. There’s an old Chinese proverb that says “the place to kill a serpent is in the egg”, but unfortunately this egg has hatched, and the serpent is growing at the pace of technology. If we don’t do something soon the only privacy we’ll know is what we read about in history books.